Mayo Clinic nephrologists have uncovered a connection between first-time kidney stone formers and chronic kidney disease. In a paper published today in Mayo Clinic Proceedings, researchers announce a persistent decline in kidney functioning following an individual’s first case of kidney stones. A Mayo Clinic team led by William Haley and Andrew Rule assessed a group of 384 stone formers three months after their first stone event to study the effect of kidney stones on their kidney function. 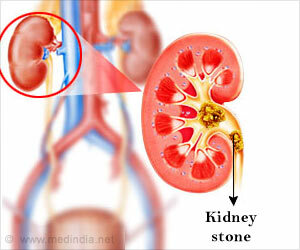 Compared to the control group, kidney stone formers maintained higher levels of the blood marker cystatin C and higher levels of urine protein – both of which are connected with higher risk of chronic kidney disease. that has a more long-term impact on an individual’s health.